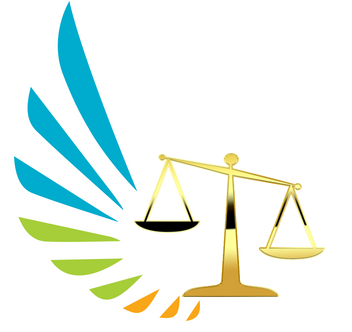 Well, my dear bloggers, I invite you to be the judge…..
10) San Diego prosecutors state that they are unaware of any other case in which a defendant who entered a plea agreement later had his sentence reduced by commutation. 12) This victim’s family was never notified that a defendant’s original sentence was being commuted and found out via news reports, in direct violation of the California Constitution and statutory authority. 15) Another lawsuit may take place as District Attorney Dumanis said her office may also file a lawsuit in the matter. AB 648 would require that the applicant of a commutation notify the district attorney of the county where the conviction occurred of their intent to apply for a commutation, 30 days before the Governor acts. Current law only requires the district attorney to be notified in the case of a pardon. The bill would also authorize the district attorney to submit a written recommendation to the Governor for or against a pardon or commutation of sentence. The bill would further require the district attorney to notify the victim of the crime and their family, and allow those individuals to submit a recommendation to the Governor for or against a pardon or commutation of sentence. AB 648 requires a majority vote by both the Assembly and the Senate and Signature by the new Governor, Jerry Brown. 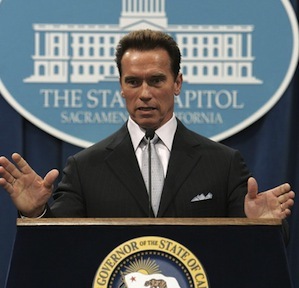 Just when we think we have a little piece of justice after the arduous investigative and judicial processes are completed, an outgoing Governor rips out the hearts of the Santos family of San Diego, (just like his Terminator character) for a political favor…. Kathy and Fred Santos are the bereaved parents of slain San Diego State University student Luis Santos. This tragedy occurred on October 22, 2008 when Luis was a 22 year old at San Diego Mesa College was targeted by four others. A witness told detectives that Santos said carried a “piece” and wouldn’t back down from anyone, and apparently the defendants’ group overheard the remarks. After one of the victims cried out “I’ve been stabbed,” Nunez was overheard to say, “Yeah, I got one of ’em,” DiCarlo told the judge. According to court testimony, Esteban Nunez and Ryan Jett, along with Raphael Garcia, traveled from Sacramento to San Diego to party and picked up Leshanor Thomas along the way. Witnesses testified they set upon Santos and several other people after they were denied entry to a fraternity party. Two co-defendants, 20-year-old Rafael Garcia and 21-year-old Leshanor Thomas, pleaded guilty earlier to lesser charges. Garcia, of Sacramento, pleaded guilty to conspiracy to destroy evidence and agreed to cooperate with the prosecution. He faced up to three years in prison at his June 24 sentencing. Thomas, also from Sacramento, pleaded guilty to conspiracy to commit an assault and assault with a deadly weapon and faced nearly five years behind bars. A judge last year found that Nunez, Garcia and Jett were “talking smack” and “looking for trouble” at the apartment of Garcia’s cousin in the hours leading up to the fatal stabbing. Defense attorneys contended their clients were acting in self-defense after a fight broke out. Santos was stabbed once in the heart,” the prosecutor said, adding that the victims were unarmed. After the killing, the defendants drove back to Sacramento returned home burning their bloody clothes and threw their knives into a river. “They’re all principals,” DiCarlo said. “It doesn’t matter if one wasn’t armed. Jett’s attorney, Terry Zimmerman, said her client believed he had to defend himself as the fight broke out. Zimmerman said both Santos and Jett were both good young men. “Had they not all acted together, Luis would still be alive,” Deputy District Attorney Jill DiCarlo said. DiCarlo said the notion that Jett showed restraint by only stabbing Santos once was “absurd.” Santos was fatally stabbed once in the heart,” the prosecutor said, adding that the victims were unarmed. Garcia and Thomas pleaded guilty to lesser charges. Defense attorney Brad Patton said Nunez’s sentence was too harsh and Schwarzenegger’s commutation corrected an injustice. But Luis Santos’ mother, Kathy, who lives in Concord, said Schwarzenegger’s action was strictly a political act. Fred Santos, father of Luis, said the bill is not intended to take away the governor’s power to grant clemency in certain cases. As we stand by for the next chapter, will the Santos Family receive a little piece of justice that was stolen from them? I don’t know…. Double, Double Toil and Trouble… Fire Burn and Cauldron Bubble…. Next Disgruntled Workers: “Going Postal” and Other Human Tragedies from Connecticut to California…. Amy Matthews Just what could Mr. Terminator expect to gain from this total disregard for humanity and justice? You would think he would want to go out being remembered for doing something good! I am discusted! Delilah Jones I’m not sure the public was supposed to find out about it in a big way, if ya know what I mean. All the politicians payback their favors before leaving office (under the radar). Amy Matthews So disturbing. I do hope they get things changed so that it won’t happen like that again. Well he has to live with what he did and I’m sure he will be constantly reminded. I hope the lawsuit hits him hard. Tracey Andrews Oh boy…..going in for the read now….Let u know when I come up for air….I Will have something to say…..